I like movie trailers. So sue me. 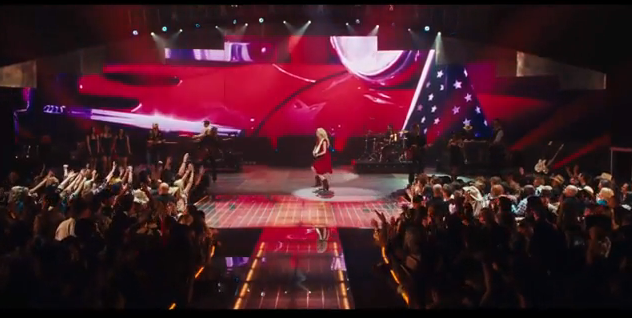 “Country Strong” Trailer: Gwyneth Paltrow Sings! Okay, just wanted to make sure that all those hipster teenagers with their funky hiphop are out of the room. Now we can safely enjoy the trailer for Country Strong without any interruptions. In the movie, Paltrow makes her country-music debut as Kelly Canter, a singer just out of rehab who must contend with another rising country star (Garrett Hedlund), her husband/manager (Tim McGraw), and (what I suppose to be) a rival singer, played by Leighton Meester, although it seems that that specific conflict will soon be resolved due to the final scene in the trailer, which has Leighton looking on as Gwyneth walks backstage to cheers and applause. Take that, Meester! It’s not often that we get to see a movie about country music, let alone music itself, and it actually looks watchable even if it does have a bit of a contrived plot. I mentioned that, in the movie, Paltrow makes her debut as a country music star with the appropriately titled song “Country Strong”. The movie’s website, which is listed in the billing at the end of the trailer, features the song in its entirety. Like most movie songs, it features inspirational lyrics about fighting back, standing up for yourself and picking yourself up when you’ve fallen down. While it was often repetitive, Gwyneth does do a good job with the tune, and (I’ve heard) she got a standing ovation at the CMAs. If you’ve read Stephen King‘s short story “That Word, You Can Only Say What It Is In French” (in his book Everything’s Eventual), then you might be reminded of it when you read the plot of Source Code. 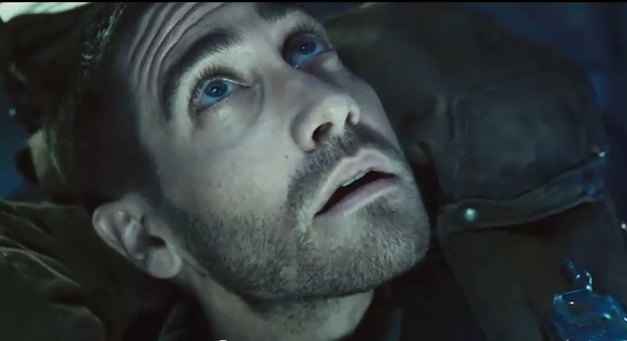 Jake Gyllenhaal stars as Capt. Colter Stevens, a soldier who wakes up in the body of another man on a train. He discovers that he has eight-minute intervals (at the eight-minute mark, he “dies” and is sent back to “the source code”) to discover a bomber who destroys the train, killing everyone. Because dying every eight minutes gets repetitive after a while, he tries to rescue a woman (Michelle Monaghan, or as my dad calls her, “that girl from Eagle Eye“) that he converses with while on the train. It’s like a mixture of “Unstoppable” and “Groundhog Day”. Sounds kinda cool. In the beginning of the trailer, Monaghan refers to Gyllenhaal’s character as “Shawn”, although we know he isn’t Shawn. This raises some questions. What does Monaghan see when “Shawn” dies? She doesn’t know that he’s not Shawn, so what happens? If everyone dies after the bomb goes off, how can Gyllenhaal rescue her? The only other thing that worries me is that the movie could get repetitive. It almost seems like it’s going to go something like, “he’s on the train for eight minutes, then we die, get sent to the source code, then we’re back on the train for another eight minutes”. Endless loop. Enough babble. Watch the trailer for “Source Code” below. 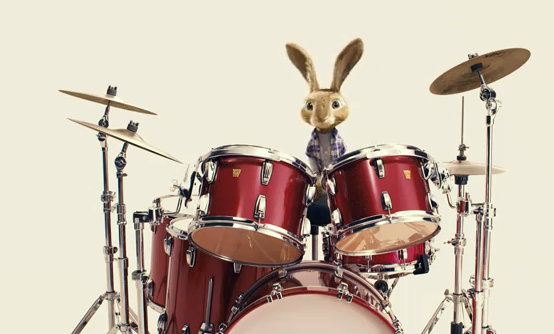 The Easter Bunny likes to rock, apparently, and once he starts, he can’t stop, according to this trailer for the live-action/CGI hybrid (shudder) Hop, which is from the same animation studio that made Despicable Me. The main character is hit by a car and the slacker driver (James Marsden) must take care of him while he heals. We don’t get much of that storyline in this trailer, just the bunny drummin’ along to Blur’s “Song 2”, and if you don’t recognize it from the title, you’ll definitely recognize it from the opening beats. Who knows, maybe he and all the other holiday legends will join together for the sequel (’cause y’know there’s gonna be a sequel) and start a rock and roll band. Hop comes out on April 1st. 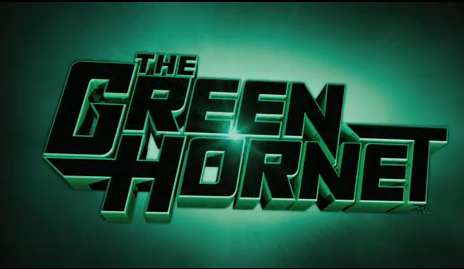 You shouldn’t confuse The Green Hornet with Green Lantern, because this movie looks better. It tells the story of Britt (Seth Rogen), whose father has just died, which leaves him in control of his massive media empire. (So, of course, he hosts tons of parties and has a huge mansion, which we visit in the opening shots.) Britt befriends Kato (Jay Chou), who has a few tricks up his sleeve. The two team up to fight crime with their retro car (that Kato built), and Britt takes on the vigilante persona “The Green Hornet”. So it’s NOT the car! Like the last trailer, it seems to focus more on Kato than Britt, but it’s changed my mind about what I thought then. This movie actually looks okay. “Red Riding Hood” (Trailer) Is “From The Director of Twilight”. Sigh. The first few seconds of this trailer lead me to believe that Catherine Hardwicke is a fan of swoopy helicopter shots; such a fan, in fact, that we even get a fly-over of the Warner Brothers logo, which almost seems like a parody of these oft-used flights. Amanda Seyfried’s HUGE DOE EYES. Visually, the movie looks good. When you focus on the storyline, though…not. 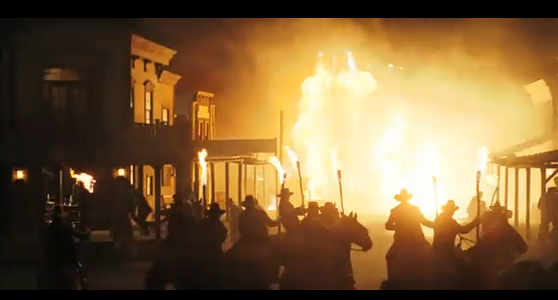 “Cowboys and Aliens” Trailer: Admit It. It Sounds Cool. 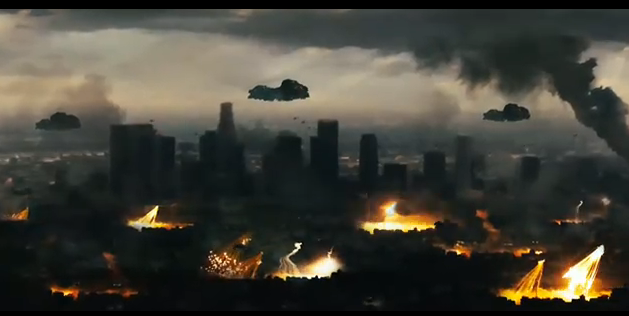 Here’s the trailer for Cowboys and Aliens, which has some pretty big names attached to it. Jon Favreau (Iron Man) directs the film, while Steven Spielberg, Brian Grazer and Ron Howard are all producers on the film, executive or otherwise. All we’d need is J.J. Abrams, and it’s even more of a hit! The movie obviously tells the story of a town in the Old West that must defend itself from oncoming aliens. It stars Daniel Craig and Harrison Ford, back after doing a less-than-perfect stint as a morning show co-anchor. The title makes it sound like a comedy, but it really isn’t. Looks cool! Cowboys & Aliens comes out next summer. The quality of this YouTube embed is just okay, so head over to Yahoo! Movies for a trailer that’s better-looking. “21 Jump Street” Trailer: That Guy From “Step Up” and Jonah Hill Go Undercover!